Bulk SMS has become an irresistible tool for communication purposes; it gives you the opportunity to spend less on every text message and also enables you to customize your sender identification (Sender ID) and that is why we at Crystal Webhosting offer you bulk SMS services at the cheapest price. We did everything possible to get the most reliable and fastest bulk SMS gateway to satisfy our numerous bulk SMS users. We want you to know that we sell the cheapest bulk SMS in Uganda without compromising the quality of our bulk SMS service, most especially the delivery speed. 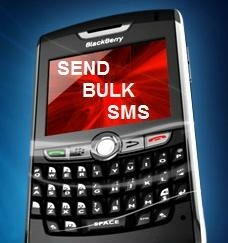 We don't just offer cheap bulk SMS in Uganda but we offer quality as well. Our cheapest bulk SMS services will surely give you maximum satisfaction and you will not hesitate to be part of our bulk SMS family after your first experience. We want you to know that anytime you send bulk SMS with us, there is no delay in delivery or any other issues related to SMS delivery. Our bulk SMS gateway is very perfect to the extent that we can give you 99.9% assurance on our bulk SMS delivery rate and speed. Call us today to place your order and get a big discount. No matter whether you are sending out high volumes of SMS messages in one go, could be like on occasions below, we have the right plan for you.